This article is part of our special report An Erasmus for SMEs to support the economy. Christian Wigand, European Commission spokesperson for employment, speaks about the benefits and challenges of MobiliseSME, an exchange programme for SMEs employees. He believes the programme could provide added value for some companies but the challenge would be to demonstrate the benefits for the host company of the workers. 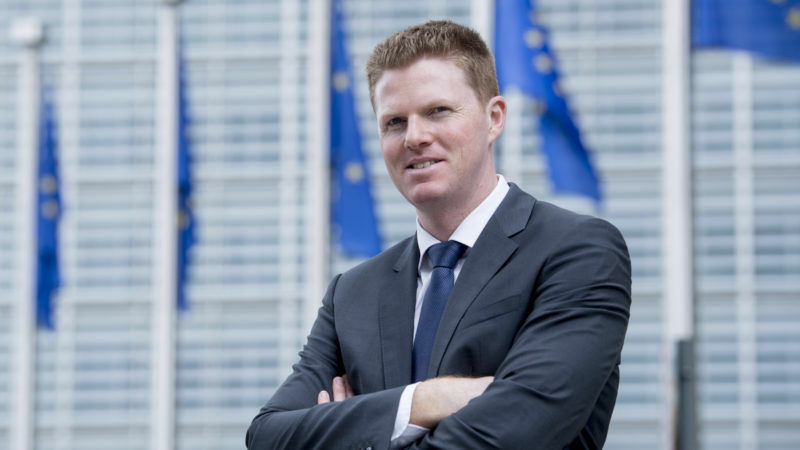 Christian Wigand is the spokesperson for Employment and Social Affairs and he responded to EURACTIV’s written questionnaire. Why a project like MobiliseSME? We want to make the most of job opportunities in the single market. There are various EU programmes to support mobility: Erasmus+ for students, for entrepreneurs (Erasmus for entrepreneurs) as well as schemes to support mobility of EU researchers (EURaxess); job mobility for workers (Your first EURES JOB) and projects to inform and assist posted workers as well as cross-border workers (cross-border partnerships). In a similar vein, the idea of this pilot project is to support international business-to-business exchanges for employees within SMEs across borders within the EU. What are the main takeaways of the pilot project? In terms of first takeaways, the pilot as tested by the project owner has demonstrated, albeit at a small scale, that there could be an interest from some categories of companies. For these companies, there could be considerable added value in having exchanges of professionals across the EU. However, while sending companies are clearly interested in sending an employee away for a short period to acquire knowledge and skills in another company, accepting to continue to pay the salary, it may be more difficult to make a case for clear benefits to the host companies that invest in training and support of this employee. After this experience, would you support the creation of an Erasmus for SMEs? What elements should it include? This is too early to say. The pilot project is not yet finished. The final conference is taking take place on 28 September [the replies were delivered before the conference took place]. The Commission will then carefully assess the results and the way forward. What would you improve in the programme, for example, to make it more attractive for host companies? The MobiliseSME project aimed to test another form of labour mobility – it is a timely report, providing quite comprehensive “food for thought” for the Commission for its ongoing reflection on the future of the European funding instruments. SMEs face numerous problems, including regulatory fragmentation across the internal market or difficulties to access capital. To what extent employees’ mobility represents a priority to address outstanding problems, including low-level of exports among European firms? The Commission is aware that there are many different challenges for SME’s and that they require a range of measures. A skilled workforce and life-long learning of staff with regard to the challenges of operating in the single market is but one of the challenges. There are already today many “tools” at the European level – for instance – Your Europe and Solvit, which provide useful information and assistance to SMEs.